These acts and more are coming to the annual Louisville music festival. 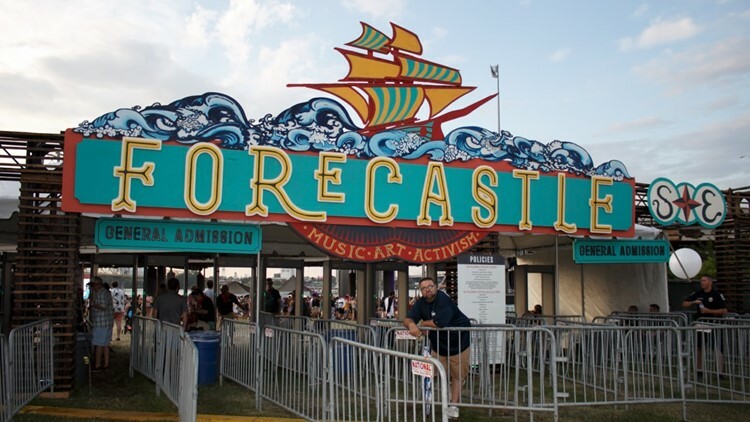 Tickets go on sale Wednesday, Feb. 13 at 10 a.m.
LOUISVILLE (WHAS11) – Forecastle Festival, in its 17th year, will return July 12-14, 2019, including one of the most iconic alt-rock bands of the past decade, The Killers; high-energy folk rockers, The Avett Brothers; and 2019 Grammy-winning hip-hop, funk and soul performers Anderson .Paak & The Free Nationals. The three-day event will be at Waterfront Park and will include the additional music acts Portugal. The Man, Maggie Rogers, Tyler Childers, Judah & The Lion, Nelly, Chvrches, Moon Taxi, First Aid Kit, Dawes. A full list can be found below. General Admission, Yacht Club and VIP weekend passes, as well as Bourbon LodgeTM memberships, will be available Wednesday, Feb. 13 at 10 a.m. on ForecastleFest.com, with a limited quantity starting at $164.50 plus fees. All ticketing options, including affordable layaway plans, starting at only $39 down, can be found at ForecastleFest.com/tickets.